The President has arrived in Gijduvan district of Bukhara region. 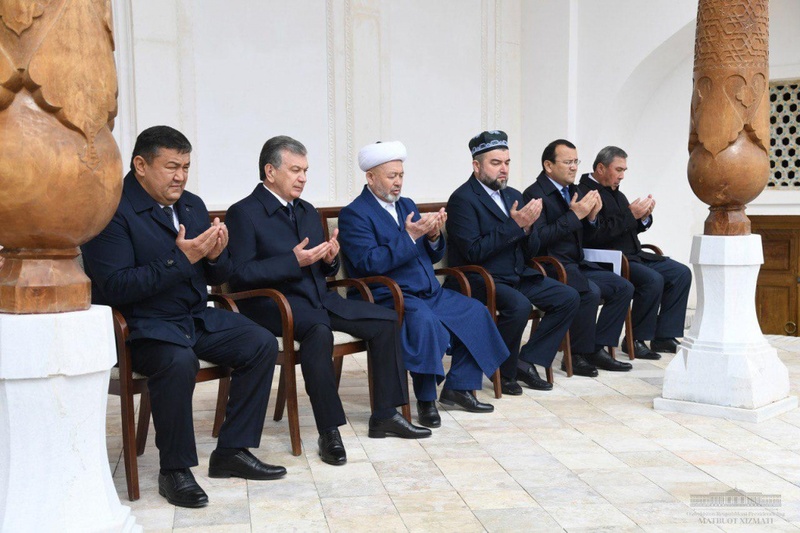 As reported by the Press Service of the President of the Republic of Uzbekistan, the Head of the state visited Abduhalik Gijduvani Mausoleum. Surahs from the Quran were read. Shavkat Mirziyoyev became acquainted with the construction and repair work carried out in the mausoleum. Gave instructions on organizing a study by the imam-khatibs of the spiritual heritage of our great past theologians, and bring this knowledge to people. – One thing is to learn about it from books, another is to personally join, to see everything with the own eyes. 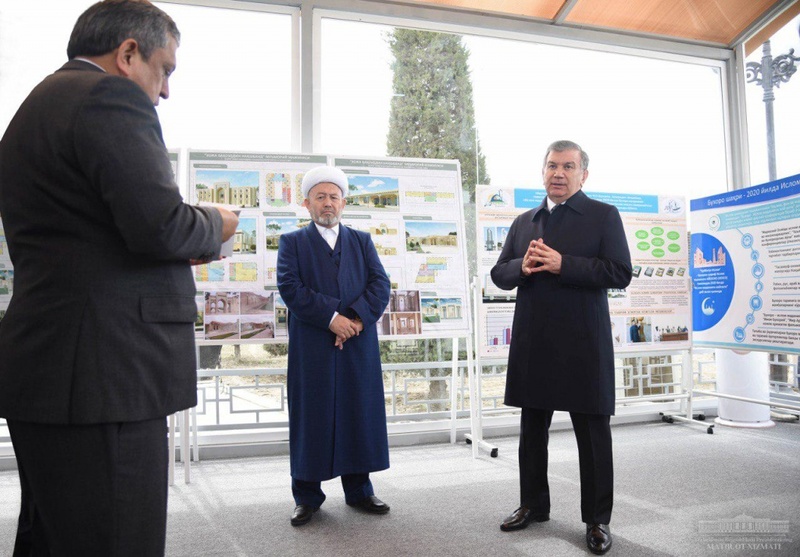 This place should become the center of enlightenment that gives people the knowledge, – said Shavkat Mirziyoyev. 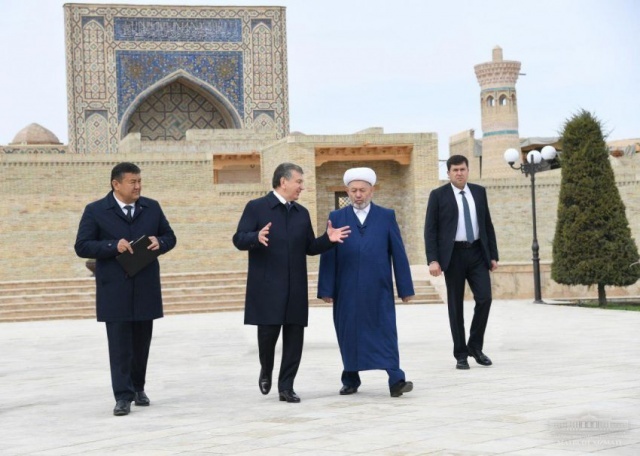 During a trip to the region last February, the President gave instructions on improvement of Bukhara’s Seven Saints mausoleums, the organization of a single tourism route connecting them all. Abduhalik Gijduvani is the founder of the Tariqat of Khojagon, and is considered the first of the Seven Saints. Later, this spiritual teaching was continued by Orif Revgari, Mahmud Fagnavi, Ali Romitani, Muhammad Boboi Samosi, Sayyid Amir Kulol, and it reached its highest point of development under Bahouddin Naqshband, thanks to which it was named Naqshbandiyya. Today, pilgrims not only from neighboring countries, West and South Asian countries, but also from all over the world eager to visit the mausoleums of the Seven Saints. Information was presented on the ongoing restoration and improvement activities on the territory of the mausoleum. The Head of the state noted the need to create a book about the Seven Saints, to promote their scientific heritage. – There is no such spiritual treasure anywhere else. It is necessary to thoroughly study all the information related to it and bring it to people, especially young people, in an accessible language. Our goal is to let the younger generation know and be proud of this heritage. 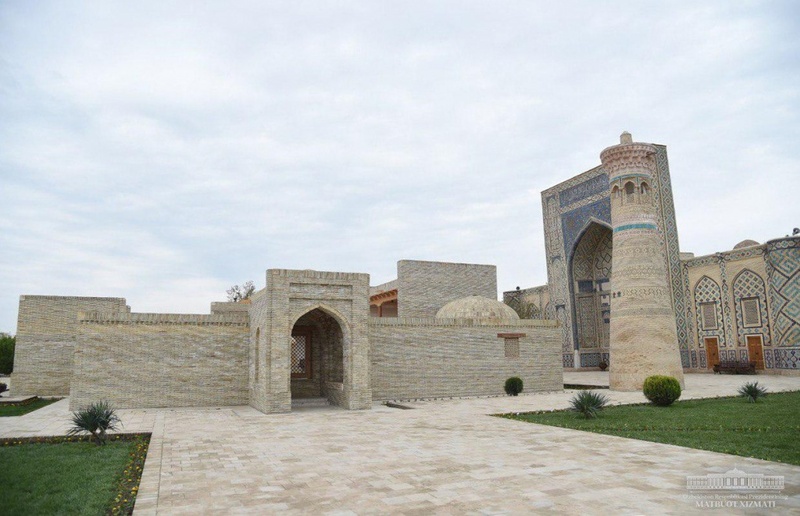 The international community widely recognizes the attention paid to enlightened Islam in Uzbekistan, the improvement of mausoleums of great ancestors. 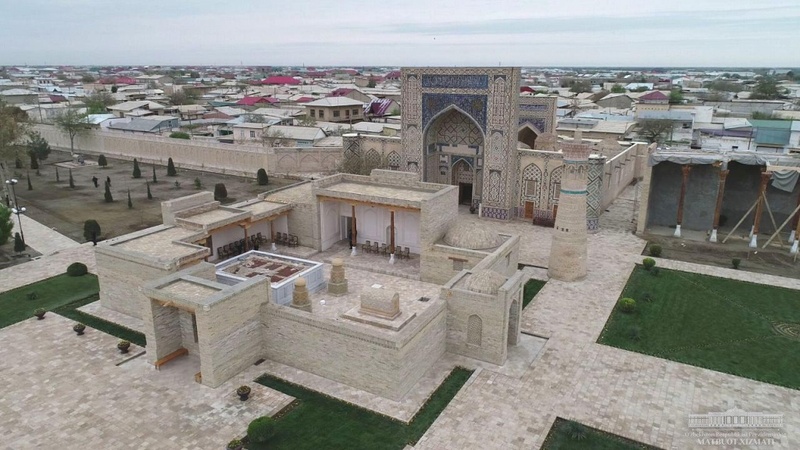 In particular, Bukhara is named the capital of Islamic culture in 2020 by the Islamic Educational, Scientific and Cultural Organization (ISESCO). The President noted that preparation for this date should be conducted carefully and at a high level, gave instructions on the organization of relevant events timed to the 915th Anniversary of Abduhalik Gijduvani’s birth and the 700th Anniversary of Bahauddin Naqshband, holding international scientific conference.